Liz Bowman is a Fellow at Polar Research and Policy Initiative, focusing on the role, interests and priorities of non-Arctic actors in the Arctic. 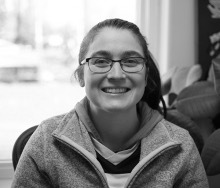 Liz is currently working as an administrator for the University of Alaska System. She is completing an MA in Arctic and Northern Studies in the Arctic Policy concentration at the University of Alaska Fairbanks. Her thesis work focuses on the role of China in Arctic affairs through case study analysis. Liz has a Bachelor’s degree in International Studies from the University of Idaho. Liz has previously researched a range of Arctic topics including tourism, international relations, human geography, and political economy. Her current research interests are Non-Arctic actors within the context of Arctic international relations. Prior to working at the University of Alaska, Liz supported Arctic initiatives professionally within government and the non-profit sectors. She also serves as a Council member for the Association of Polar Early Career Scientists (APECS). Outside of her professional and academic interests, Liz enjoys spending time with her family, traveling, and the best sport in the world… curling.